Commercial plumbing problems arise in many situations and can often require immediate assistance. Done-Rite Plumbing is here to help you with your commercial plumbing needs. We service condominiums, apartment complexes, hotels, shopping centers, municipal buildings and more. When hiring a commercial plumber, it is important to have not only an experienced, licensed plumber but also a plumber with the proper type of insurance in case a situation arises. Done-Rite Plumbing plumbers are all state licensed, trained, insured and well experienced to cover a variety of plumbing issues. Be sure to check our coupons and discounts by clicking here . Many plumbing issues in commercial properties that are left untreated can end up costing a real fortune if not resolved promptly. Many business professionals with the most sophisticated computer technology, inventory, and important records count on Done-Rite for their commercial plumbing emergencies and you can too! Clogged Pipes: Clogged pipes are one of the most frequent issues in commercial buildings. Regardless of the building type, most toilets and drains in commercial buildings are used constantly and throughout their daily use can wear quickly. 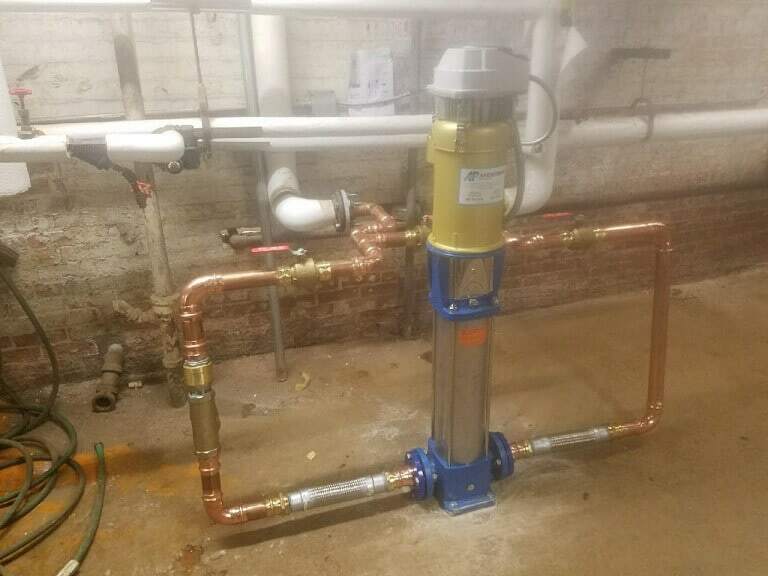 Trenchless Sewer Repair: Done-Rite Plumbing is one of the only commercial plumbers in the area that specializes in sewer repair and has the equipment required for trenchless sewer repair. Trenchless sewer repair can save you from digging up expensive shrubbery and save a lot of headaches. Burst Pipes: Burst pipes can cause substantial damage in commercial buildings quickly and if not take care of promptly, damage can be significant. Not treating burst pipes right away could result in significant damages in electronic devices and equipment and may also cause lost rent from mold issues or other related repairs. Count on Done-Rite Plumbing for your professional repair services! Done-Rite Plumbing has been in business for over 60 years and can help you with all of your commercial plumbing needs. Our plumbers are licensed, well experienced have and have advanced training and certifications for the toughest job. We have all of the latest equipment and tools required to complete any project promptly, including state of the art video equipment to locate clogs and even sewer repair. If you need a commercial plumber, give us call us now and our team will head over right away!